Address: 56 Ishibashi, Gomyo-cho, Konan, Aichi, Japan. 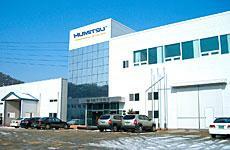 Address: 26 Wusha, Shunpan Road, Daliang, Shunde, Foshan, Guang Dong, 528300, China. Address: 168-11, Jinmok-ri, Naechon-myeon, Pocheon-si, Gyeonggi-do, Korea. Address: Moo 3, Nong-Kham, Sriracha, Chonburi, 20280, Thailand.